We expect to have the proof half sovereign in stock during December 2013. We have always been able to offer the proof half sovereign at significant discount to The Royal Mint (and many of our competitors) as we are happy to pass any trade discount on to our customers. In recent years the trade discount has been reduced and The Royal Mint's selling terms are becoming more and more one-sided, however we are pleased to announce that we can offer a discount on the proof half sovereign. 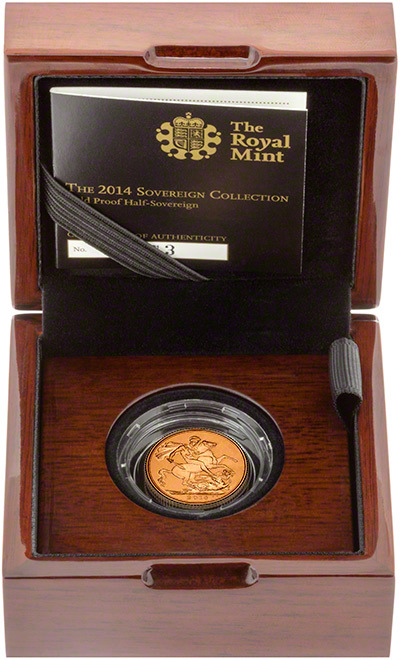 Just 5 weeks after we bought our proof half sovereigns, The Royal Mint have reduced their price from £225 to £195. We have reduced our price accordingly but we are making a £5 loss on this product, meaning we are unable to pass on any discount. As you can imagine, both customers who purchased theirs at the higher price, and dealers like ourselves, are not happy with this news. If The Royal Mint continue to drop their prices to amounts equal to, or lower than the trade prices, we may need to stop stocking Royal Mint products, as there will be no need to, and customers may as well go directly to the mint. If this happens, The Royal Mint will no longer have any competition and with a complete monopoly over the market, will be able to increase their prices to over-inflated amounts once more, with no option for customers to purchase from elsewhere. For more information please see our blog post here. 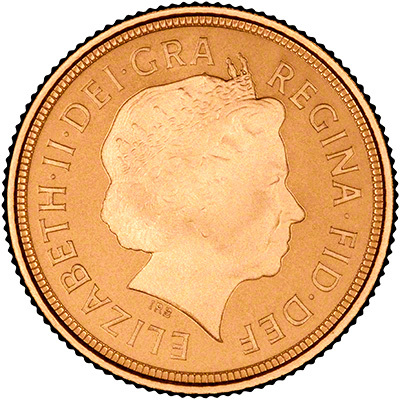 It is worth noting that the 2014 uncirculated half sovereign is �170 from The Mint and a 2014 bullion sovereign from us is only �190 (prices correct as at 23rd December 2013) so for not a lot of extra money you can get twice the gold! 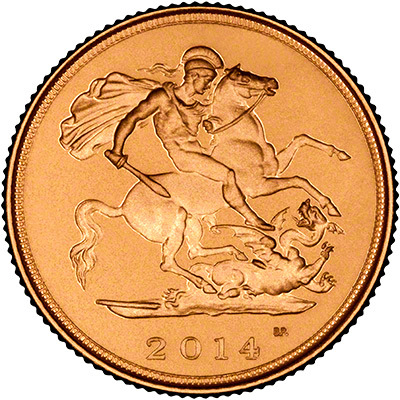 We also have the uncirculated and proof 2014 sovereigns and the 2014 proof quarter sovereign available in stock for immediate delivery.